Big Brother Naija 2018 housemate, Nina on Monday hinted on the possibility of breaking up with fellow housemate, Miracle. 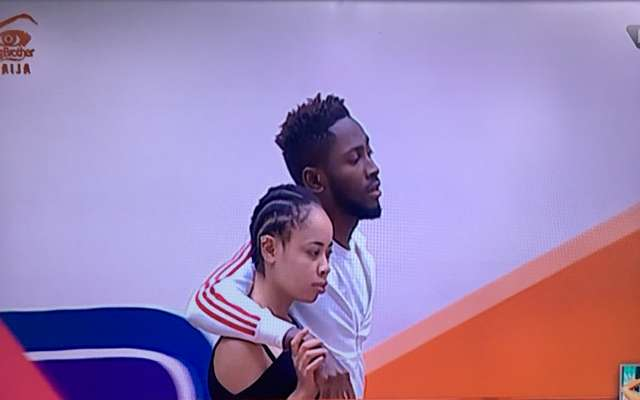 Nina, who was trying to console Alex, following the eviction of her romantic partner, Leo, said its time for her to start “detaching” from Miracle. According to Nina, it would be difficult for her to cope if Miracle is evicted from the show. Chatting with Alex, Nina said, “I don’t want to be in this your situation let me start detaching from Miracle. God knows my own might be worse. When I came here initially, I couldn’t get over my boyfriend, face the reality that i’m here talk more of someone i have been with back to back for weeks, God knows i don’t want to be in this situation.